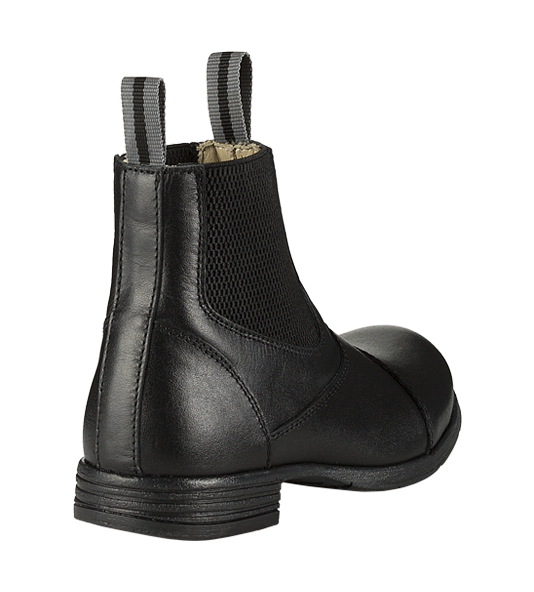 An ankle boot dedicated to the youngest Riders, hand-crafted in soft genuine full-grain calfskin leather. 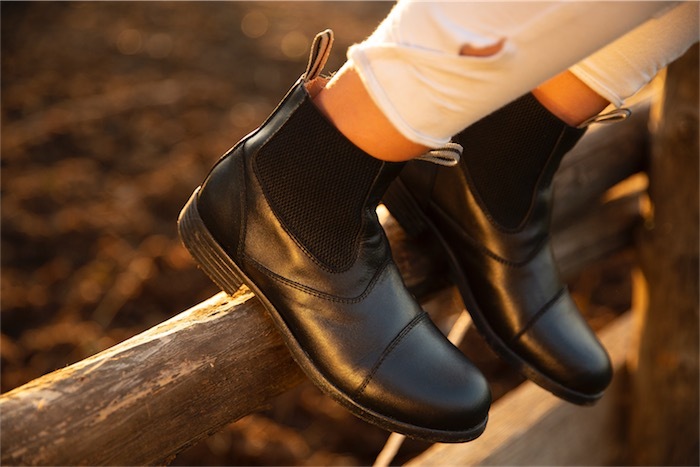 They come equipped with side elastic inserts to ensure maximum comfort, softness and freedom of movement. The natural calfskin lining, the round toe and the 100% flexible rubber sole complete this elegant Italian craft product. Nine EU foot sizes. Available in black color. A perfectly shaped leg, designed to be resistant but always comfortable. 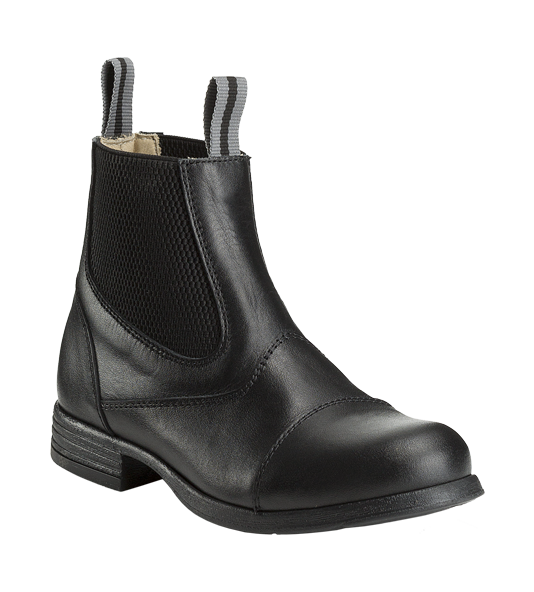 The soft leather combined with the elastic inserts allows the ankle boot to dress the leg in a superlative way. The perfect support for the legs of the youngest Riders. The foot, with its rounded shape, is equally soft and flexible so as not to compromise freedom of movement in any way. The sole, made with 100% rubber, is always comfortable and dampen down all the stresses. It can be yours, now. More than 200 sales point all around the world have chosen our riding boots. If you need help in choosing the right size contact the nearest store or contact us directly, we will be happy to help you.